Few of us actually undertake the ultimate journey—a trip around the world. But all of us can experience the fun, adventure, and surprises of a journey to faraway places with these titles from our digital collections. A parody of traveler's tales and a satire of human nature, "Gulliver's Travels" is Jonathan Swift's most famous work which was first published in 1726. 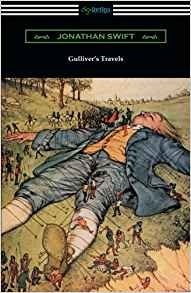 An immensely popular tale ever since its original publication, "Gulliver's Travels" is the story of its titular character, Lemuel Gulliver, a man who loves to travel. A series of four journeys are detailed in which Gulliver finds himself in a number of amusing and precarious situations. In the first voyage, Gulliver is imprisoned by a race of tiny people, the Lilliputians, when following a shipwreck he is washed upon the shores of their island country. In his second voyage Gulliver finds himself abandoned in Brobdingnag, a land of giants, where he is exhibited for their amusement. In his third voyage, Gulliver once again finds himself marooned; fortunately he is rescued by the flying island of Laputa, a kingdom devoted to the arts of music and mathematics. He subsequently travels to the surrounding lands of Balnibarbi, Luggnagg, Glubbdubdrib, and Japan. Finally in his last voyage, when he is set adrift by a mutinous crew, he finds himself in the curious Country of the Houyhnhnms. Through the various experiences of Gulliver, Swift brilliantly satirizes the political and cultural environment of his time in addition to creating a lasting and enchanting tale of fantasy. This edition is illustrated by Milo Winter and includes an introduction by George R. Dennis. Mary Jekyll's life has been peaceful since she helped Sherlock Holmes and Dr. Watson solve the Whitechapel Murders. Beatrice Rappaccini, Catherine Moreau, Justine Frankenstein, and Mary's sister Diana Hyde have settled into the Jekyll household in London, and although they sometimes quarrel, the members of the Athena Club get along as well as any five young women with very different personalities. At least they can always rely on Mrs. Poole. But when Mary receives a telegram that Lucinda Van Helsing has been kidnapped, the Athena Club must travel to the Austro-Hungarian Empire to rescue yet another young woman who has been subjected to horrific experimentation. 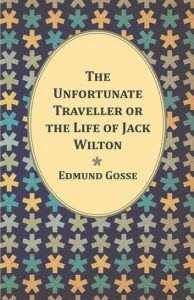 This book contains Thomas Nashe's 1594 novel, "The Unfortunate Traveller: or, the Life of Jack Wilton". 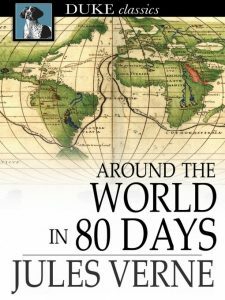 A lively and adventurous work of prose fiction, this famous book follows Jack Wilton in his daring escapades in Europe as he becomes intertwined with various historical events of sixteenth century. 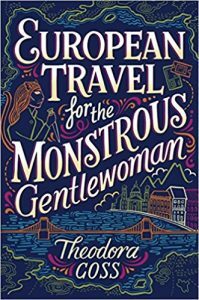 A rollicking adventure full of amusing episodes and daring-do, "The Unfortunate Traveller" constitutes a must-read for all lovers of English literature.